I am a typical Maharashtrian born with the love for spicy food. And Maharashtrian menu is incomplete without peanuts. We tend to add grounded peanut in almost anything ranging from salads to vegetables to sweets. So am sharing a simple side dish made from roasted peanut. - Roasted peanuts slightly grounded. 1) Heat tava or frying pan on medium flame. Put 2-3 tbsp cooking oil and let it heat. 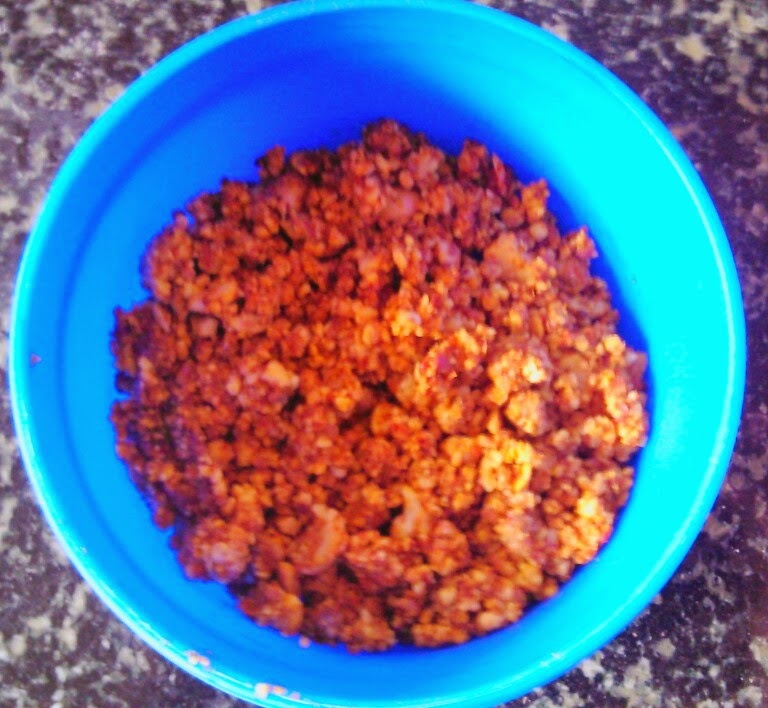 2) Add required quantity of grounded peanuts, chilli powder and salt according to taste. 4) Your dish is ready to serve. Serve with curd or Vada paav or Roti as a side dish. I like to eat it with curd. Do you have any recipe which is a speciality? Share it with me on Twitter or Instagram.